TV with Thinus: BREAKING. SABC chairperson Zandile Tshabalala slams PriceWaterhouseCoopers (PwC), blames Apartheid era tests for SABC's dismal skills audit report. BREAKING. SABC chairperson Zandile Tshabalala slams PriceWaterhouseCoopers (PwC), blames Apartheid era tests for SABC's dismal skills audit report. Zandile Tshabala, chairperson of the SABC board, is ripping into PricewaterhouseCoopers (PwC) over the independent auditor firm's scathing skills audit report of the beleaguered South African public broadcaster, and is slamming PwC for allegedly using "outdated" tests on SABC staff she says was used under Apartheid. The report from PwC from July 2013 about the SABC, was revealed in parliament on Tuesday. Members of parliament's portfolio committee on communications called the report and its findings "shocking", "very worrying" and a "reality check" for the SABC. ThePwC report - besides a wide-ranging skills audit of SABC personnel such as asking them to sit for a numeracy test and others - also did fact-based auditing of qualifications such as authenticating matric and tertiary certificates on file. Besides finding that the SABC is lacking strategic thinkers in tests, PwC asked SABC staff what they think of the public broadcaster as part of the audit. That involved no tests. - SABC personnel responded that they "do not trust the SABC's management team, or the SABC board" and question "the ability of the above-mentioned". SABC staff had "a negative attitude towards the organisation". - Not related to any tests and only document and file checking, the PwC report uncovered more than 2 200 SABC staff of which the SABC has no proof on file that they actually passed matric. - Not related to any tests and only document and file checking, the PwC report uncovered 24 SABC personnel with fraudulent or "non-compliant" matric and Grade 10 certificates. - The PwC report also found simply through file checking, that more than 100 SABC staff at the SABC of which the broadcaster has no personnel file. 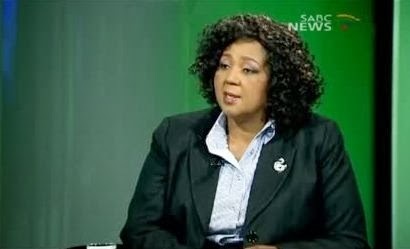 - Not related to any tests and only document and file checking, the PwC audit found SABC staff with "non-related qualifications on file" for example a finance administrator with a diploma in beauty and health. "One of the things that I'm personally concerned about, what tools did they use to check to make an assessment of competences?" Zandile Tshabalala said to Mpho Tsedu, the presenter of Question Time, the daily talk show on the SABC's own 24-hour TV news channel, SABC News (DStv 404). Zandile Tshabalala went on to blast "competences tests" like "psychometric testing". "There's competences like psychometric tests which has been dropped many years ago, because that was a system used in a racially divided society to marginalise certain people." "So I'm very interested to understand the intricacies or methodologies that have been deployed by PwC to confirm certain findings in their report," said Zandile Tshabalala. "The report was late," said Zandile Tshabalala. "The expectation was that the report was going to be ready in May last year, or something like that. The interim SABC board went to parliament and reported that the report was going to be slightly delayed. And the report finally landed at SABC." "The report was seen by a few. But they were waiting to make sure that a new SABC board takes over an interrogate the report together with the executive to arrive at a decision. So there have been delays from our side as well, in terms of management and executive meeting and interrogating the report." "But that does not justify the demeaning statements of saying people are not thinking. It's the worst insult," said Zandile Tshabalala. "There are research companies who told us that president Zuma won't be president - I'm talking about reputable, top-recommended research companies. And Zuma became the president whether we liked it or we did not like it - Zuma is the current president of South Africa." "Now even in consulting companies there's consulting companies that are credible, that supply sufficient information, and by no means am I suggesting that PwC is inefficient, but we all need to work with the executives to interrogate line by line of the presentations which have been presented," said Zandile Tshabalala. Although the SABC got the report in mid 2013, Zandile Tshabala said "I can't say we've had enough time to run through the report with the executives to make sure".